Granger Book Bag 1 Week Countdown! One week to go! I can’t believe how fast the last two months have flown by. 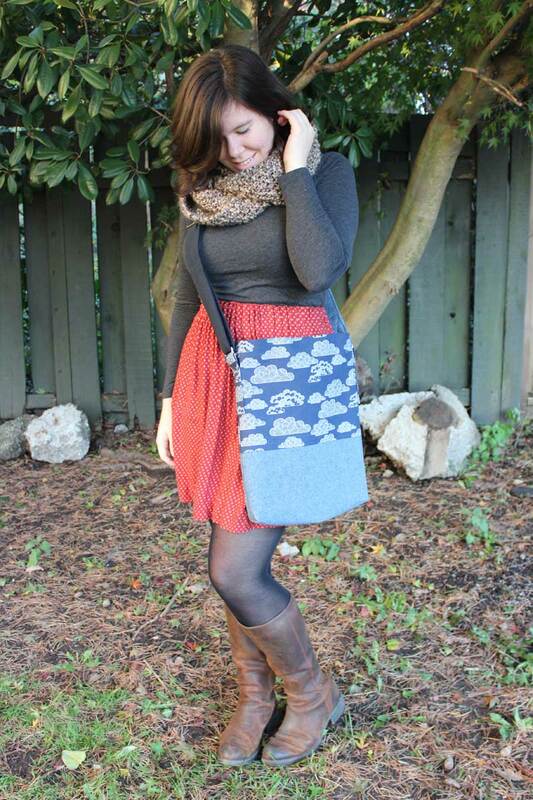 I am very excited to share the Granger Book Bag Pattern with you next week! Designing and developing a pattern is an incredible amount of work and an amazing learning experience. I have so much respect for all the hardworking indie pattern designers out there. I will be sharing my pattern creating process with you on the blog after the launch, so if you are interested in creating your own bag pattern, stay tuned for that! Update! 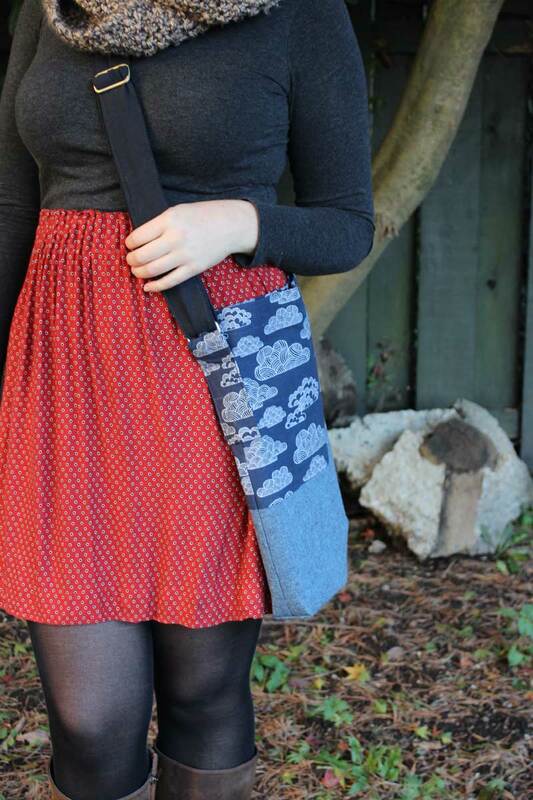 The Granger Bag Pattern is now released and you can download it for free here. This week I made View A of the pattern in lovely fabrics from Spool of Thread. The fabric used is a light weight canvas that has been paired with a stiff interfacing to help it maintain its shape. The Granger Book Bag is designed with lots of pattern mixing and colour blocking in mind, so you can really go nuts with different prints and textures! I absolutely adore these clouds, they really stand out when paired with the solid bottom blue. This is the first version I have made with a pattern on the top portion of the bag, as opposed to the on the bottom. It creates a different sense of balance, and makes for a very different bag. Since my last few versions (featured above – view them here, here, and here), I have made a slight adjustment to the pattern. 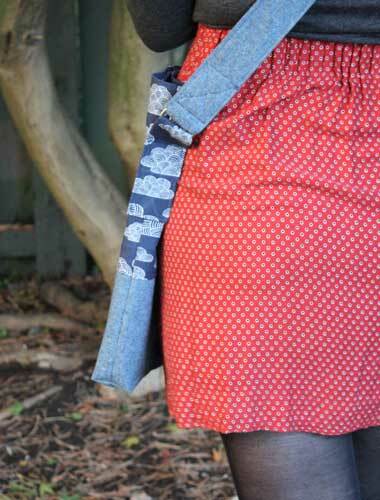 The strap is now made from two pieces of fabric, allowing for another fun colour blocking detail. You can make both parts of the strap from the same fabric, or use webbing instead if you prefer a solid coloured strap. I made this change to help save on the amount of fabric required for the project, which is always a good thing, right? For the inside of this Granger, I played with pattern mixing by choosing a blue flannel plaid. I like the way these two prints share a colour palette, making them very complementary despite their obvious contrast. I hope you are all as excited as I am about the Granger Book Bag launch! Stay tuned for fabric and notion details coming this week.